Multilingual? 11 Work from Home Jobs for the Linguistically-Talented! In spite of my efforts to learn French in high school, I am abashedly mono-lingual. I have always admired those who are fluent in more than one language – seamlessly moving from one language to another. If you are one of those talented multilingual folks, there are many work from home opportunities for you, including translation, localization, interpretation and others. Here are 11 links to get you started on the path to making money with your linguistic abilities! Translations ABC – Hires translators, interpreters, proofreaders, graphic designers, and web localization experts. 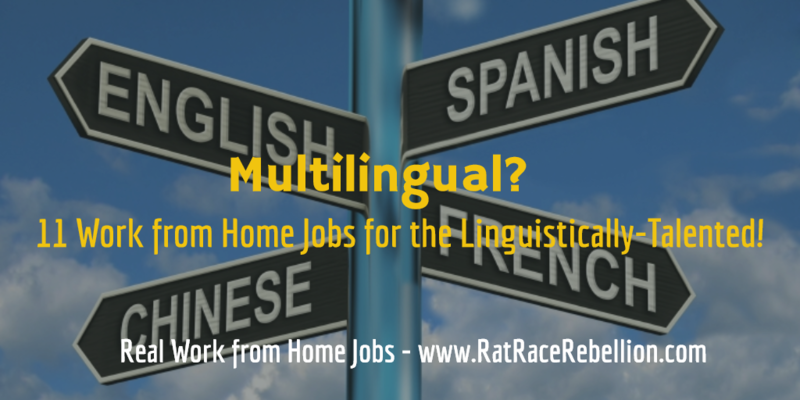 If you have friends or family members who are multilingual and looking for a work from home job that will enable them to leverage their language skills, please share this post with them today! This entry was posted in Hiring Companies, Work at Home Jobs and tagged interpretation, language, multilingual, translation. Bookmark the permalink.